There are a few simple things to help you get more enjoyment from each bottle of wine you open. 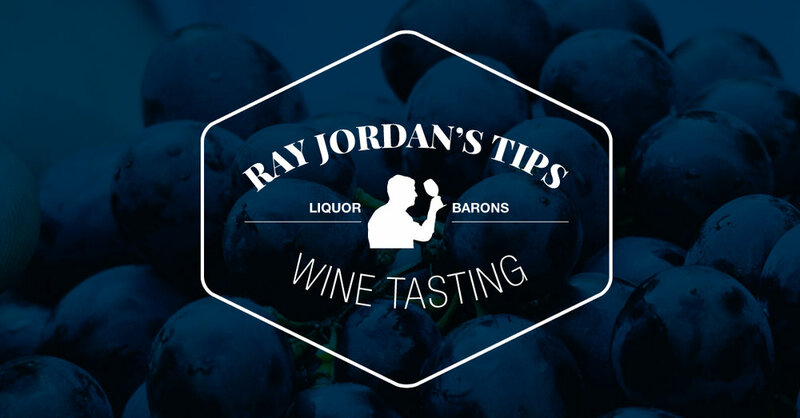 Wine-tasting is a bit like sport — the more you practice, the better you get. If you want to be a proficient wine-taster, you simply have to pull the cork or twist the cap off as many bottles as you can and try the wines. Look for wine-tasting opportunities held regularly at liquor stores, call into cellars to taste and discuss the wines, or even set up small wine-tasting groups, so that you can share the cost of the wines and combine a little fun with learning. Practising wine-tasting allows you to do more than simply impress your friends with your wine knowledge and understanding; it means when you are looking for wines to either drink immediately or put into your cellar, you are basing your selection on a sound knowledge. Whether you are drinking a $10 cheapie or a $1,000 classic, the principles remain the same. Three things to look at: appearance, nose and the palate. · Appearance: what does the wine look like ie colour, intensity? · Nose: what does the wine smell like, what fruit characters do you notice? · Palate: what flavours does the wine exhibit? If it’s an older vintage, you might want to let it stand for a while so any sediment or crust drops to the bottom. If the wine has a cork, make sure you use a proper corkscrew and not one of those horrible winged things with a solid spiral that often drills a hole rather than remove the cork. It doesn’t necessarily follow that by spending a lot of money you’re getting a better product. The main thing is to choose a glass that has a good bowl and shape that focuses the aromas. The tulip-shaped glass called an XL5 has been an industry standard for years, but it has its limitations. An excellent all-purpose glass for reds and whites, the Chianti from Riedel is an excellent option. Make sure glasses are clean. Washing in clean water and polishing with a cloth will ensure the glasses are ready. If they are stored in cardboard boxes, give them a clean before you use them, even if they look spotless. The cardboard might have tainted them. Pour a reasonable amount of the wine and check the colour. Young wines should be bright and brilliant. Whites should generally have a brilliant pale gold and sometimes a green tinge, indicating freshness. Check they are not pinkish – indicating bad handling in the winery, or prematurely golden or yellow. Young reds should be brilliant crimson to reddy black. Older wines change. The whites become deeper in colour, turning to pale yellow and deep gold. Old reds can start to turn slightly brown with extended bottle age. The aroma — or bouquet, as it is often referred to — is very important in your assessment of the wine, revealing many of its secrets with the first sniff. Swirl it around a few times to release the aromas and then take a good sniff. This should immediately tell you if the wine is sound, and further examination by tasting will confirm this if you are in any doubt. The aroma gives you a good indication on how the wine will taste. Younger wines should still be showing some of the primary characters, whereas older wines will be showing mature characteristics of the variety and style. Experience will show you what to look for with older wines. Remember, just because it’s old doesn’t mean it’s good. There still needs to be some lively fruit characters, together with the older mature characters. Take a small amount of the wine in your mouth. Let it roll across the tongue to allow you to get a better understanding of its characteristics. Here you will really pick the various sensations — whether it’s sweet, bitter or sour for instance, whether it is oaked, what type of oak perhaps, the tannins, the acid and the overall texture. Only with much practice will all of this make sense; the more immediate point is, when you taste a wine, take time to appreciate what it is and what characters you are getting. You are trying to build a palate memory, so that when you identify these same qualities in other wines, you will understand what they mean. And you don’t have to swallow to appreciate the taste. By looking at the colour, taking in the aromas and then tasting it, you will have all you need to understand the wine. This is especially prudent if you in a wine region and driving from cellar to cellar. It is surprising how quickly the wine can build up and push you over the legal limit. Ask for a spittoon if there isn’t one, and learn the art of spitting. · Volatile Acidity; caused by a reaction between the acetic acid and alcohol creating ethyl acetate and resulting in a nail polish-like character. · Oxidation; due to excessive exposure to oxygen, wine tends to lose freshness and takes on a stewed character. All wine will improve with decanting — even whites. The act of pouring into a decanter aerates the wine and brings out all the aromas and tastes. Don't be afraid to really give young wines a good splash. With older wines, a little care is needed, especially with reds. Carefully pour into the decanter until can start to see a few bits of sediment. If you want, you can double decant back into the bottle. Simple rinse the bottle with fresh water and then pour the wine back into it. This allows you to bring a special bottle to the table. Don't leave an older wine too long once you have decanted it. Better to decant and leave for a short time before pouring into your glasses. You can then regularly smell and taste as the wine begins to reveal itself so you don’t miss the moment when it hits its peak. Once very old wines eventually open up they often begin to fall apart very quickly, so that if you have left them too long, that hoped-for reward could elude you. But above all, wine tasting is fun. So make sure you don’t get too serious. Enjoy it.